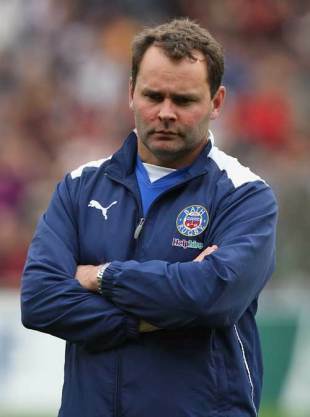 Bath coach Steve Meehan is hoping that his squad can come back brighter following a difficult period. With RFU disciplinary charges hanging over former players Michael Lipman, Alex Crockett, Andrew Higgins and Justin Harrison, Meehan has called for the rest of the squad to set the highest standards in the coming season. "The feeling within the squad is strong. It is very important for us to come out of this and to be seen as the best club that can reach their potential," he said. "We are asking the players 'what do you want to be known for' and 'how do you want to be seen' and that allows us to look at our standards and what we must do. We can then look at our discipline and policies with regard to our off-field activities as well." The fixtures for the 2009-10 Magners League season have been released, with the first-ever final scheduled for the weekend of 28 May. The tournament will employ a semi-final/final system for the first time, following in the footsteps of the Guinness Premiership and French Top 14. Current champions Munster start the defence of their title with a trip to Scotland to face Glasgow Warriors at Firhill Arena, whilst European champions, Leinster travel to face the Scarlets. Cardiff Blues welcome Edinburgh for the opening match in their new home at Cardiff City Stadium. The European arm of rugby kit manufacturer Canterbury has gone in to administration, meaning the termination of kit deals with Scotland, Leinster, Cardiff Blues and Wasps. Canterbury's business outside Europe is unaffected, with administrators citing "tough trading" and an unsuccessful course of expansion into other sports, including football and cricket, for the European arm's troubles. Fullback Stefan Terblanche will take the leadership reins for the Sharks' Currie Cup defence after skipper Johann Muller was confirmed to have broken a bone in his arm during their opening loss to Western Province at Newlands on Saturday. Sharks coach John Plumtree is hoping that they can clean up their act when they travel to face Boland on Friday. "Discipline also let us down when we didn't need to concede penalties at breakdowns, and if you concede penalties in your own half against any Currie Cup teams with good kickers, you will concede three points," he said. IRB elite referee Joel Jutge has retired after struggling with a knee injury for several seasons. Jutge refereed his lat Test in the 2007 Rugby World Cup quarter-final between Scotland and Argentina and will now concentrate on domestic refereeing and developing the next generation of French officials. "I have very much enjoyed my time as an international referee and the game has given me so many special moments, friends and experiences," he said. "I would like to thank the IRB and the FFR for all of their support over the years and I am looking forward to giving something back to the game." The Blue Bulls have released scrum-half JP Joubert. Joubert will now play the remainder of the Currie Cup for the Free State Cheetahs.